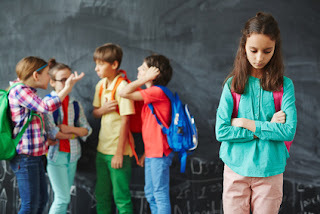 Gifted Challenges: Six reasons to stop treating gifted kids as "special"
Six reasons to stop treating gifted kids as "special"
What's wrong with telling gifted kids that they are special? After all, they hear frequent messages that point out how they are different...unique...and yes, special. They overhear adults rave about their talents. Their peers don't quite "get" them, and are sometimes a bit jealous. Teachers occasionally provide extra attention - explaining different projects or homework assignments that the other kids don't receive. They witness some parents clamoring to have their children evaluated for gifted programs, and sometimes hear kids brag when they are accepted. They surmise that being gifted must be a big deal. Whether they like it or not, gifted children are sometimes treated as special because they are different. False assumptions and labels, unrealistic expectations, misconceptions, and envy complicate the picture. The term "gifted" evokes longing and bitterness among those whose children are not identified. All children are gifts to their families and should be special to them. But sometimes when families notice another child "labeled" as gifted, and don't understand the context for said label, sparks can fly. What does "special" really mean? In an odd twist to this quandary, use of the term "special" within education circles has different connotations, and is often associated with learning difficulties. Most parents don't want this label for their children. "Special services," (typically offered to address developmental or learning delays) do not evoke the same bitterness and envy as gifted services. "by definition, it is not possible for 'all students' to be 2 or 3 standard deviations above their age equivalent peers. To say so demonstrates either exceptionally poor understanding of mathematics or exceptionally poor understanding of the reality of intellectual giftedness." Others may boast that all they want is an average child, or they won't call their child gifted - as if giftedness is a choice or will disappear if ignored. You don't get to choose your child's intellect - it can be enhanced or thwarted depending on environmental and educational circumstances, but your child's abilities are not yours to choose. Children need to feel special and loved by their parents regardless of their innate abilities. Love should not be contingent upon talents, performance or accomplishments. This is a set-up for approval-based achievement, perfectionism, insecurity, and long-standing resentment. If children assume that they are only loved when they perform - and perform well - they will become anxious, insecure and resentful. Ultimately, this can damage their relationship with their parents as well as affect their self-concept and overall mental health. Recognition of a child's abilities can backfire, especially when associated with an innate talent unrelated to effort and hard work. Praise for a talent or an easily accomplished task can evoke feelings of guilt and shame. With their heightened sense of fairness and justice, gifted children know that it's just wrong to receive acknowledgment for something they had no more control over than the color of their eyes. It is confusing and leaves little room for distinguishing talent from a legitimate, hard-fought achievement. Children also sense when they are treated differently and inappropriately singled out at school. Some may feel undeserving, and fear that peers will resent them. This is particularly damaging when teachers ask gifted students to tutor struggling students or co-teach the class. No one likes a teacher's pet, and singling out gifted students is bound to hamper their chances of fitting in. Due to the elimination of ability grouping in many districts, gifted instruction is often delivered separately, away from the rest of the class. Gifted students receive small chunks of "pull-out" instruction or individualized, "special" attention from the teacher, and may feel embarrassed that they warrant this additional time. Other students also may resent it as well. Some gifted children develop highly inflated and unrealistic expectations for themselves. They might expect to matriculate at the most prestigious college, land the best possible job, and receive numerous awards along the way. Any divergence from this path is perceived as a disappointment and failure. An average grade, a rough patch in school, and less than stellar SAT scores are viewed as shameful and an assault to their sense of self. There is no margin for error. While some eventually develop resiliency and humility, others may struggle for years with anxiety, shame, depression, bitterness, and anger. When gifted children assume that functioning at such a high level is the norm, they may come to expect this from others as well. They may become impatient, demanding and frustrated when their peers do not grasp information at the same pace, cannot delve into projects with the same intensity, and have less intrinsic interest in learning. Just like a talented athlete loses patience with a struggling teammate, gifted children can become frustrated in interactions with neurotypical children. Appreciating that there is nothing "special" about their abilities may help them tolerate this frustration and feel more accepting of their peers' differences in these situations. Some of the reluctance to provide gifted education, the backlash against ability grouping, and the widespread neglect of gifted children's needs is fueled by the public's emotional response to the concept of giftedness. When a group of highly able individuals are viewed as "special," envy, bitterness and irrationality may follow. Otherwise well-meaning teachers, administrators and families block attempts to provide gifted services. They claim that gifted children are not deserving of "special" treatment, that it is elitist, that it is not equitable, that gifted children are privileged, or that other children would feel wounded if they believed that they were not as smart. These notions are often excuses for implementing policies based on emotional reactivity about giftedness and "special" treatment rather than sound research or clarity about what gifted children need. Gifted children have unique educational needs due to their intellectual differences and require academic services tailored to these needs. Not treating them as "special" does not mean neglecting their education or failing to provide services they require. In fact, receiving appropriate services should be the "norm" for them, and not viewed as special treatment. It is ironic that gifted services are often housed within special education departments, as this is often the only means of assuring any funding at all. If giftedness were viewed as just another learning difference that required a different educational approach - rather than a trait to be envied - teachers could get on with educating their students. Show your child love and acceptance, provide structure, and discipline appropriately as needed - what you would do for any child. Treat giftedness as just another aspect of who your child is - not as overly important, but as a trait that needs attention and care. Praise your child's efforts, offer support and acceptance when he or she fails, and encourage healthy risk-taking. Teach self-compassion, gratitude and tolerance for others' differences. Educate family, friends, acquaintances, teachers, administrators, legislators, and any others you encounter who are misinformed about giftedness. And continue to advocate to ensure that your child receives an appropriate and enriching education. I agree completely, I don't treat my daughter as overly special. I try to make her feel as "normal" as possible. I want her to fit in and get along with everyone. Thanks, Anonymous. Most parents see their children as "special" to them, but there are ways to convey a sense of reality about this. When gifted children are seen as special by families and others, it can be confusing for them. It sounds like you are working very hard to normalize this experience for her. In all my many years working with gifted adults and children I have only seen one child, who was both gifted and 2E or twice exceptional, did I see what you are describing, which is elitism. That's what you are emplying here. By using the word "special" with gifted it either means, special education or referring to what is now called intellectually impaired, or it means elite or better than anyone else. As a nation we despise this right now, and maybe we should. Is anyone else really better than another? But to imply that gifted children need putting in their place I disagree. No they are not better than anyone else. But they are undereducated, underfunded and flat out ignored. Is eliteism a real problem for the gifted population or was this just click bait to get teachers to stop thinking gifted kids are "special"? Darlene, I am not clear about what you are saying. I was not implying that gifted education is elitist or that gifted children need to be put in their place (your words). I am writing about how the label of "special" evokes strong reactions from the public that results in misunderstanding and ultimately creates problems for these children. And assumptions of elitism often interfere with implementation of gifted services, so it IS a problem for gifted children. Perhaps I did not explain myself well enough, or perhaps you didn't read the full post, but I am sorry that you have a very different impression than what I was trying to convey. Thanks for your reply. I did read the whole article and that's how it struck me, but of course we all make our own assumptions. I think my assumption was that you were especially aiming this message to teachers and professionals who see children as being treated as elitist, because I honestly have not seen many parents treat their children this way. The parents I see are desperate for advice on how to educate and parent these sometimes difficult children. Well said, Gail. I hope folks read this entire article so they don't make quick assumptions and misinterpret what you're saying. It needs to be read carefully. You make many very good points. Thanks, Paula. I realize that without fully reading the article, people might form assumptions based on a quick overview. But I guess that parallels what the article is about - how it is easy to form quick assumptions (in this case, about being special). I appreciate your feedback! AMEN! From the beginning to the end... Well said. Thank you! Thanks, Garb Fam. I appreciate your comments. LOVED this! Smart is good, but only if it comes with kindness, respect, a willingness to work and delay gratification, and a little humility. You should send this to a widely read news source, such as the New York Times or Washington Post. Anonymous, Thanks for your comments. I don't know that either of these sources would accept it, but I appreciate your confidence in the article.